For entrepreneurs interested in their next venture, the digital retail space can be alluring. Without having to purchase or maintain physical infrastructure, startup costs are low and scale is basically unlimited. But starting an online business in today’s saturated market can be the biggest barrier to entry. How do you cut through the noise of thousands of others to gain market share? Well there’s no guaranteed formula, but even amidst growing competition and consumer sophistication, startups can gain competitive edge and build successful businesses. 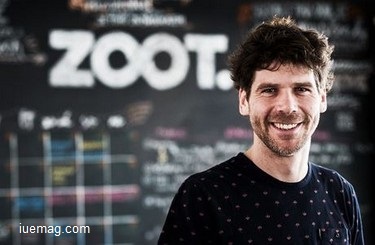 We spoke with Ladislav Trpák, a GES 2016 speaker and self described chief gardener (read CEO) of Czech fashion(ii) retailer Zoot to learn how he capitalized on digital democratization to grow the Zoot brand of happiness to over €21.5M in revenues last year, with a plan for €35M in 2016. What was your intent with the start of Zoot? That’s why our first TV campaign for Zoot was of two naked people jumping into the water with the voice over, “Even though we sell beautiful clothing, we know, that we can experience the best without them.” Because even though our product was clothing, the experience we wanted for our customers was not just about buying clothes. It was about feeling good and being happy. That image was a great message and that campaign was very successful here. Thus the ethos of happiness is central to Zoot. It’s how we differentiate and continue to be successful in this market. So are you telling me you set out simply to find a way to make people happy? Well kind of, but in a more circuitous way. For us, it was more about the path and not just reaching certain goals. Actually, originally Zoot was supposed to be something completely different. 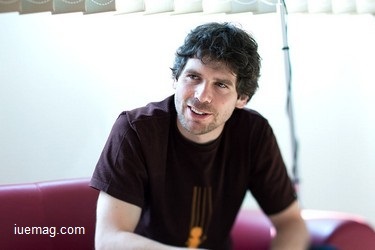 In 2010 the company initially started as a platform connecting brands to their audience. The idea was to build a social platform similar to Facebook targeting brand influencers and ambassadors — a Brandbook of sorts. The intent was to create an environment for brand fans to interact with the brands, develop deeper relationships with their favorite brands, and thereby become brand ambassadors. But we admittedly underestimated the brands and what they could provide. At the time, they simply were not able to create sufficient content and value for the fans. We then switched the model and brought in a group of editors that looked for great deals, actions, or events on affiliate brands, again with the intent of creating a special environment for brand fans. We didn’t sell products directly to our “fan base” users, but rather served as an affiliate on a commission-based revenue model. We gained a lot of insight from that incarnation of Zoot. We saw that people were interested in lifestyle and fashion in the Czech Republic, but there were some very tangible barriers that prevented them from purchasing. So for example, we saw people wanted new brands and new fashion collections but were apprehensive about buying them from outside the Czech Republic. So we decided to position a collection from one of the affiliate brands for purchase on Zoot, even though we physically didn’t have it here (in the Czech Republic). The conversion rate shot up over 20times. With that knowledge came the 2nd death of Zoot. How did you get to the birth of Zoot 3.0? Zoot’s multi-brand store formula that exists today was ultimately born out of a desire to eliminate persistent barriers created within the on-line retail experience. We now had a lot of information about the fashion market and what fashion consumers wanted. From that, we knew we had to create a different kind of relationship with our customers. To do that, we identified and addressed what we felt was one of the biggest barriers for online fashion shopping — the inability to touch, feel, and try the product. Zoot’s answer, introduction of “Happiness booths” — try before you buy pick-up-points with operating costs that are a fraction of normal retail spaces, which affords Zoot the luxury of turning over 60% of stock at these locations within 24 hours. People are social and tactile. We like to touch and feel our purchases. We like to get feedback from others, “that’s a great look on you, that’s not your color.” That’s why we shop with friends, because we want their opinion. Absent that social element, our data shows as much as two thirds of online sales gets returned. With most retailers covering the cost of delivery and/or return of items, that’s an expensive barrier to overcome. Even with Zoot’s policy of free delivery, free pick-up, and 90 days for return, over 70% of our customers still opt for visiting our Happiness booths because for them it’s more expedient and an ideal integration of online convenience and range of options with the social experience they enjoyed from being offline. If you think about the experience at a normal shop, you’re often on the defensive because you think the sales person is there trying to sell you something. Whereas when a Zoot customer goes to a Happiness booth, they’ve already purchased something and they are more open to feedback about how it fits or what might look good with it, etc. It’s a different energy. More often than not it’s a happy, positive energy. The important thing at that point is not so much the price, but the experience of the people. They are in a psychological space where they’re seeking assistance and that creates a relationship with the customer and the brand. So was brand experience the driver for migrating part of the experience off-line? Oh most definitely. The intent was not to create a physical presence, rather, to create a unique brand experience. The market is already saturated with both small and very large online and offline retailers. So you have to think of how you can create differentiation. For us, it was about defining how to build that bond between the brand and the customer. In essence we came back to the initial roots of Zoot — to do something special for brand fans. For that, we created a brand that behaved differently by creating environments — both on- and offline — where brand fans (our customers) could have a deeper connection with the brand. Yes we’re talking about an omni-channel approach. But to us, that’s not just a buzzword; it’s a lifestyle and a means of making people happy. When you have that at the core of the company, you don’t need to have any customer care scripts because the team is simply directed to make customers happy at all contact points. If that means using the information we gather online to acknowledge a special day by sending someone flowers offline, our team will send flowers. It’s all about the small surprises and the experiences they can get from Zoot. It’s something a pure online experience misses. Online delivers, but it does not yet allow for the richness of experience and interaction. What do you anticipate for Zoot in 5 to 10 years? We already have a great deal of data about our customers and have a good understanding of what they want for us to be able to start developing some of that under or own label. So it just makes sense to expand our own private label for fashion, and partner with external brands to bring additional complimentary lifestyle products to our customers. Also, in 5 to 10 years the technology for production will be quite different. I expect a third of our stock will be produced on demand. 3D printing technology, for example, is shaping up as a viable production method that offers more dynamic inventory options, which in turn could provide an ideal means of enriching the on- and offline customer experience. We won’t only have the warehouse; we’ll also have on-site 3D printing just beside the warehouse, and 3D scanners at the try and buy locations. We also aim to further focus on the experience. We anticipate creating Happiness hubs where people meet, have a coffee or snack, enjoy different events – e.g. mothers can exchange clothes for kids, fashion shows of young designers, artists performances etc. Any facts, figures or references stated here are made by the author & don't reflect the endorsement of iU at all times unless otherwise drafted by official staff at iU. This article was first published here on 16th April 2016.